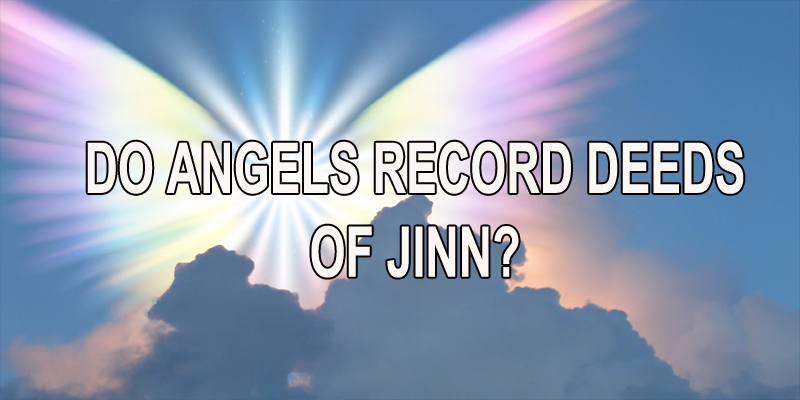 Home / Unlabelled / DO ANGELS RECORD DEEDS OF JINN? [37:158]. Mujahid said: They will be brought to account, as it says in Jam’ial-Bayan by al-Tabari. Imam al-Bukhari (may Allah have mercy on him) included a chapter in his Saheeh entitled “Mention of the jinn and their reward and punishment”, in which he quoted some verses, including this verse, and he quoted the tafseer (commentary) of Mujahid (may Allah have mercy on him). i.e., these mushrikeen (polytheists) claimed there was a relationship between Allah and the jinn, as the claim that the angels were the daughters of Allah and that their mothers were the daughters of the masters among the jinn. But in fact, the jinn know that they will be brought to account before Allah, to be rewarded or punished, and if there were any relationship between them and Him, that would not be the case. “O man! What has made you careless about your Lord, the Most Generous? Who created you, fashioned you perfectly, and gave you due proportion. Nay! But you deny ad‑deen (i.e. the Day of Recompense). They know all that you do.” [82:6-12]. (Remember) that the two receivers (recording angels) receive (each human being), one sitting on the right and one on the left (to note his or her actions). Not a word does he (or she) utter but there is a watcher by him ready (to record it).” [50:16-18]. So knowledge of the jinn remains with the Creator alone, in addition to the fact that there is little benefit in pursuing knowledge of such matters that have nothing to do with belief and on which no actions are based.